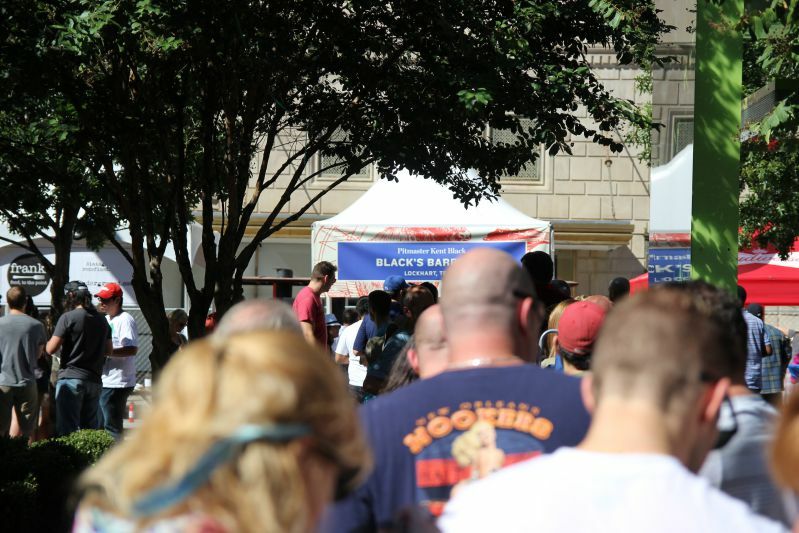 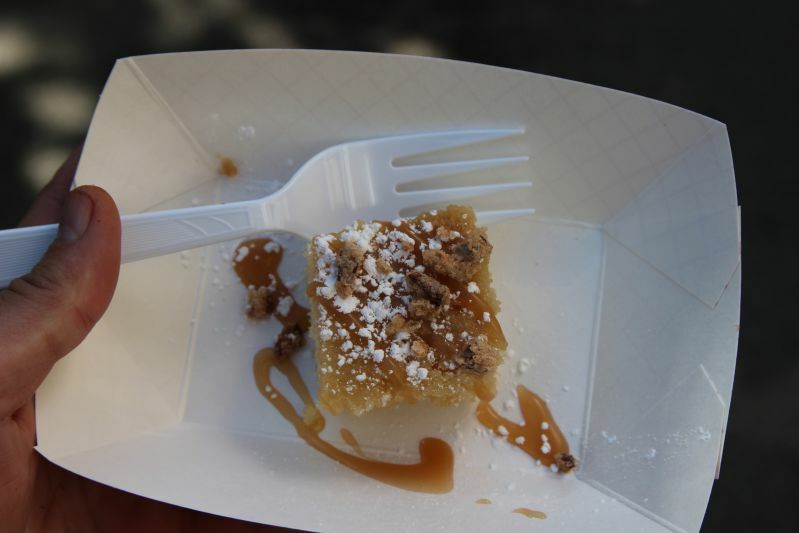 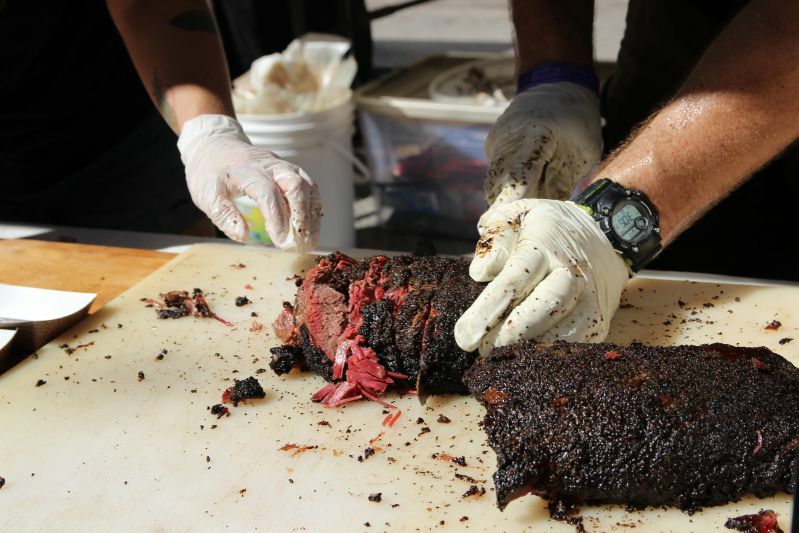 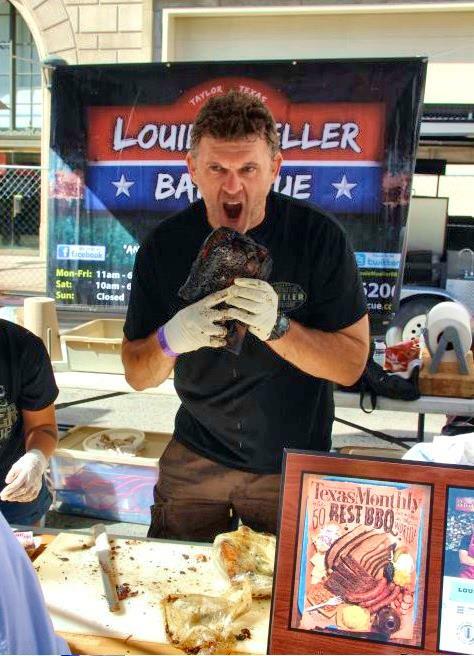 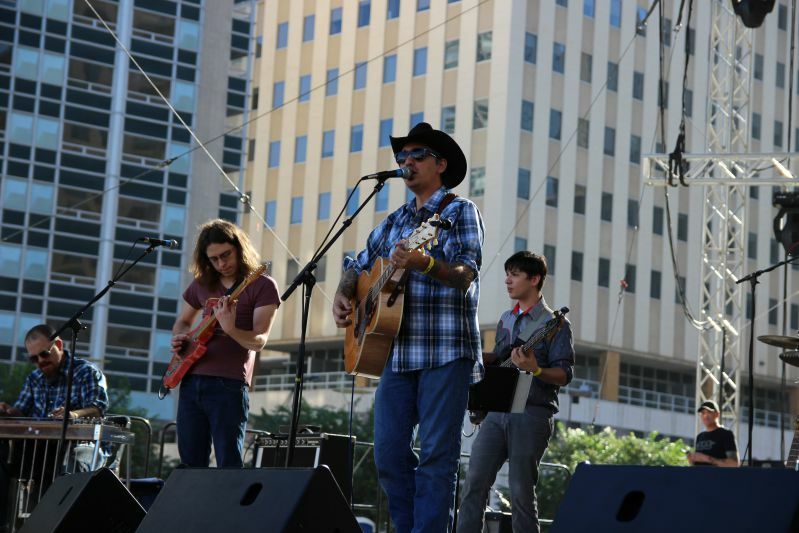 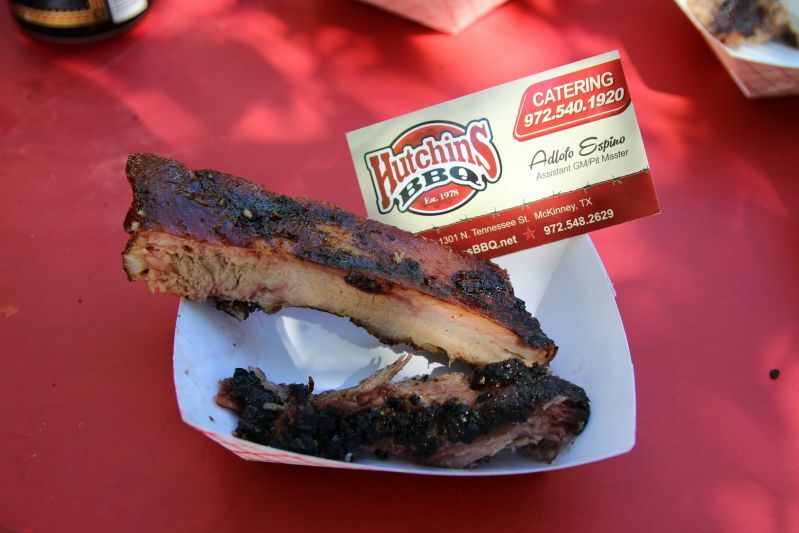 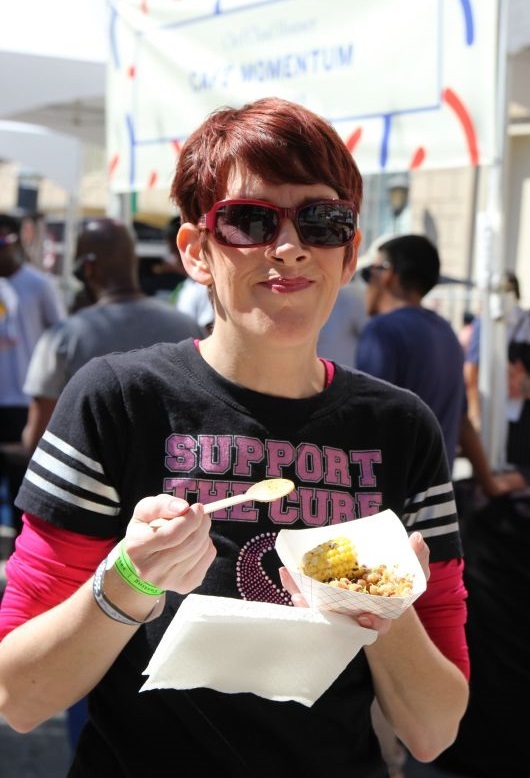 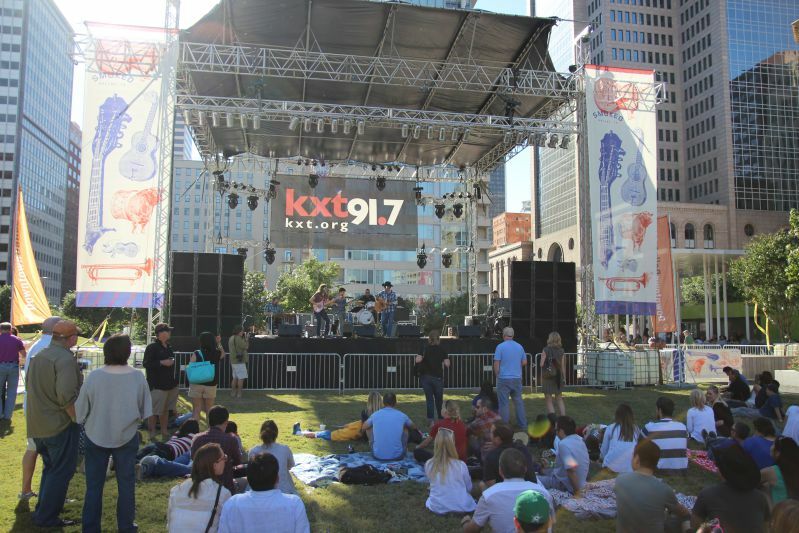 Smoked, Dallas put on its first ever barbecue and music fest on Saturday, October 4th, 2014. 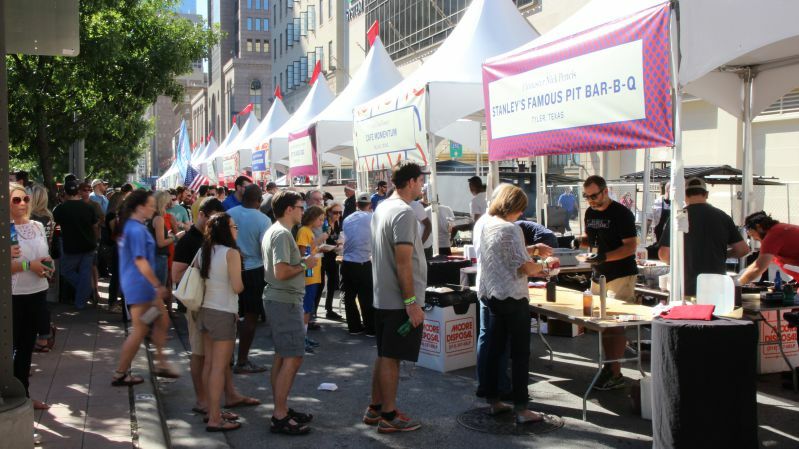 With perfect weather the crowds built throughout the day and enjoyed a variety of foods that went beyond traditional barbecue fare. 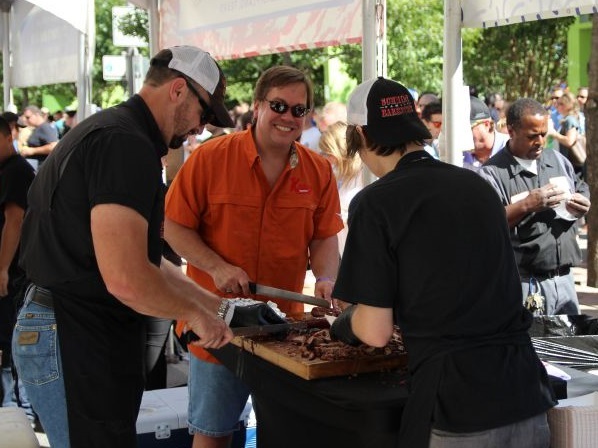 Local joints Slow Bone and Pecan Lodge weren’t part of the fest but it didn’t seem to bother the attendees who also enjoyed a six band lineup, crafts booths, and more. 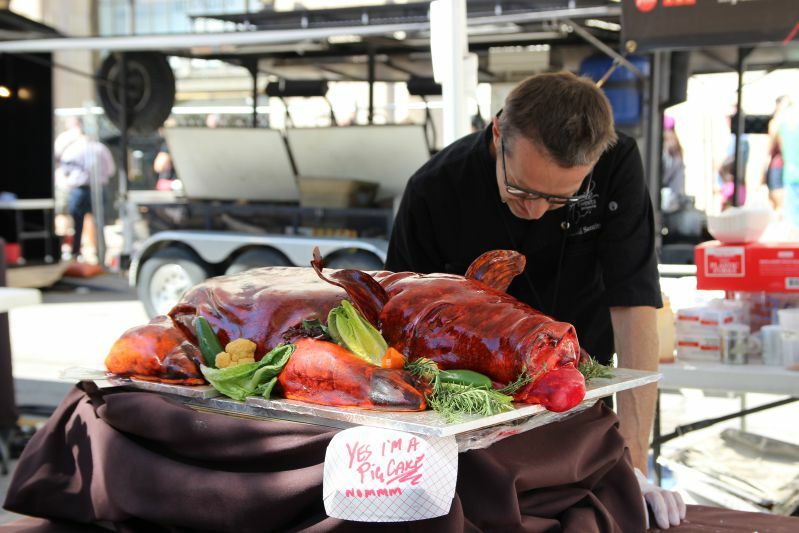 A few highlights for Leslye and myself included free Bourbon Butter Cake and Red Velvet pig shaped cake from Haute Sweets Patisserie; the first time I have seen free sampling of sweets along with barbecue. 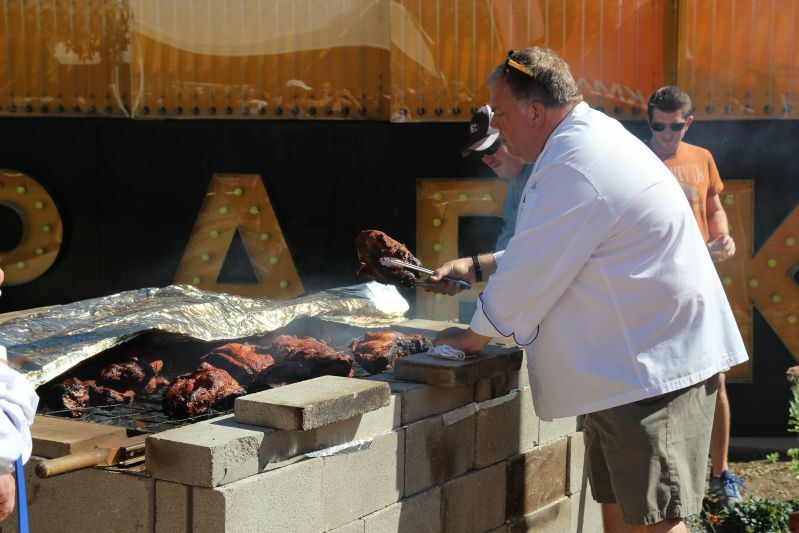 Kent Rathburn set up a temporary pit from cinderblocks which drew onlookers who sampled pulled pork sandwiches. 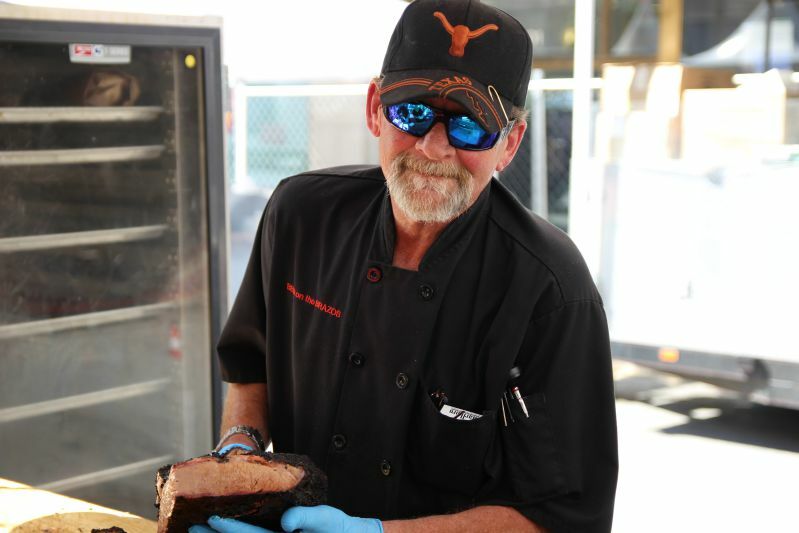 Short lines for many of the vendors helped us sample almost all of the smoked offerings in just the first hour. 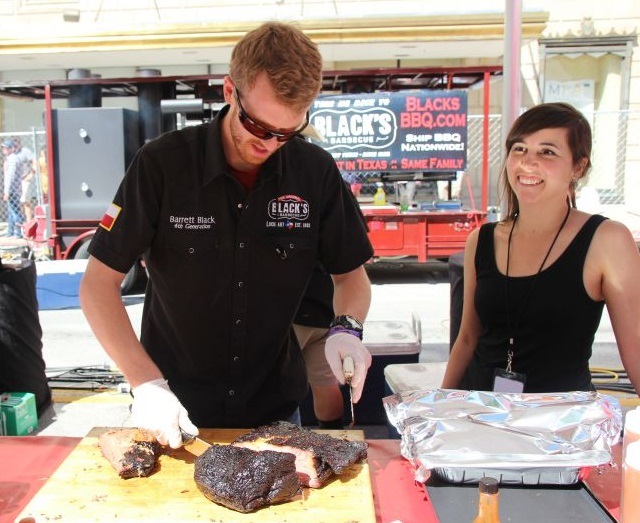 The event featured eleven participants from the Dallas/Fort Worth area as well as Blacks, Louie Mueller, Schmidt Family, and Stanley’s Famous from around Texas. 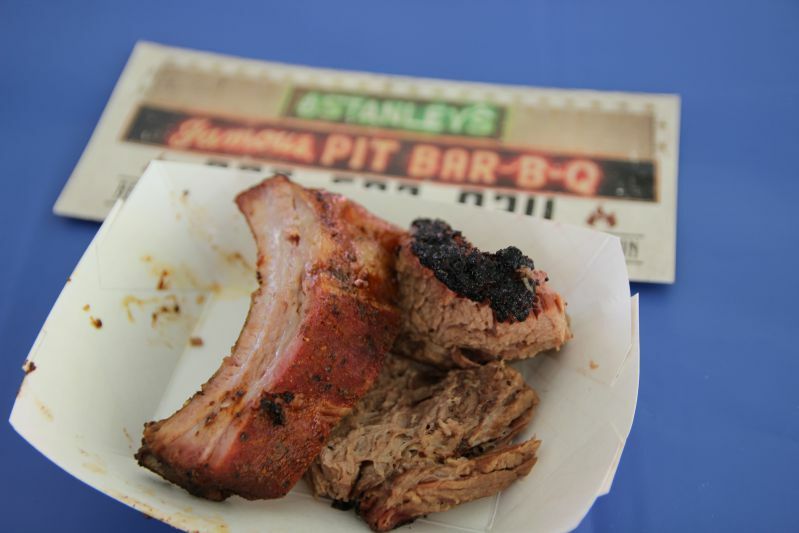 Tags: BBQ Fest, Smoked Dallas.